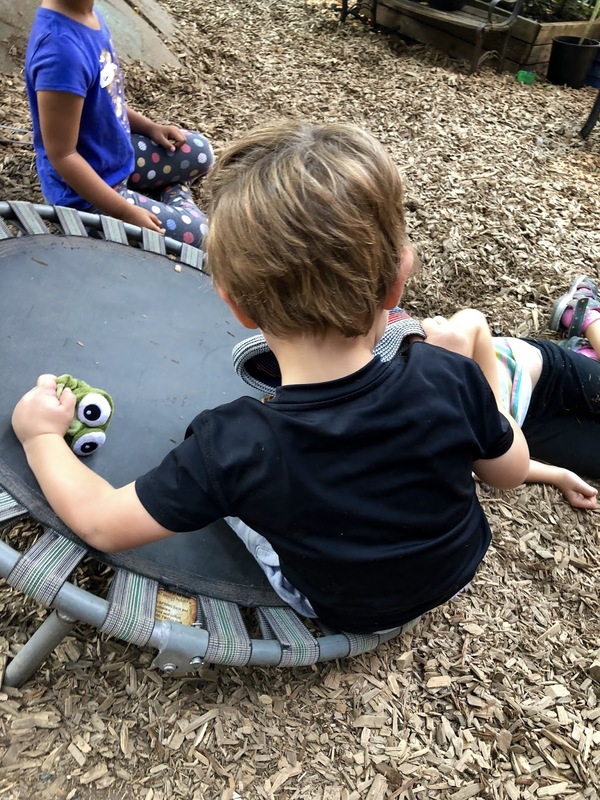 Earlier in the summer, a child was playing on our junkyard playground for the first time. At some point he approached me with a small plastic construction vehicle that was missing all four wheels. He said, "It's broken." I answered, "It is. Everything out here is broken." A couple years ago, I found this small trampoline at a bus stop, still in its original packaging. 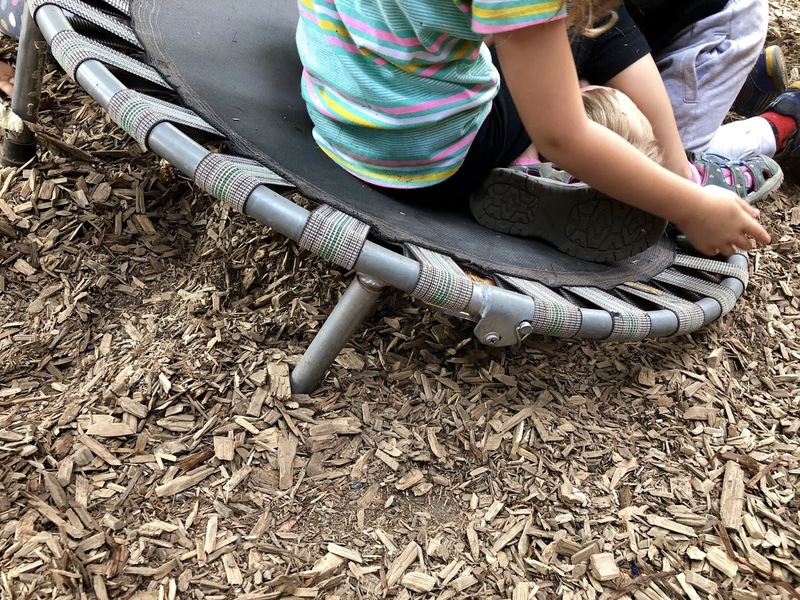 After discussing it with the others waiting with me, we decided that it was not wrong for me, a preschool teacher, to claim this lost item for the school. I thought I was exaggerating, but the two of us then begin to search for the exception that proved the rule. We found a ball, but it was deflated. We found a dinosaur that was missing a leg, a robot that was missing its head, a doll with only one arm. There was a tricycle without a seat, a dump truck with a cracked dumper, and a shop vac missing its hose. We did finally find some florist marbles, those flat disks of colored glass that the kids call "jewels" or "treasure" or "gems," but even some of those were chipped. I guess it's in the nature of a junkyard for things to be broken. As it began to look as if we would find nothing left intact, the boy picked up a stick and declared triumphantly, "This stick is not broken!" holding it up like a scepter. Except, we decided, it was broken in the sense that it had "broken off a tree." 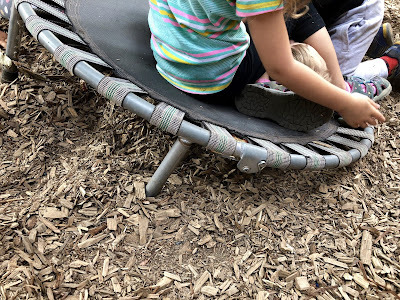 This lead us to examine the "natural" elements of the playground: sticks and pinecones and leaves had "broken" off trees; small rocks were the broken pieces of formerly bigger rocks; dirt was more or less made of stuff that had been broken into very small pieces. 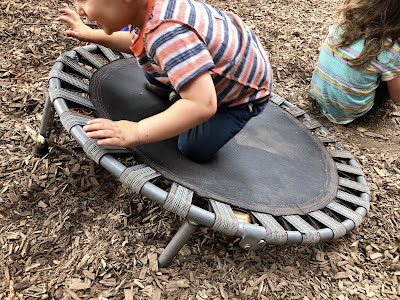 Surprisingly, very few children jumped on it when it was new, although they occasionally used it for other things, like a wall for a fort or for rolling down a hill or as a "bed." Eventually, however, one, then two, then three legs broke off. Now they jump on it . . . everyday. 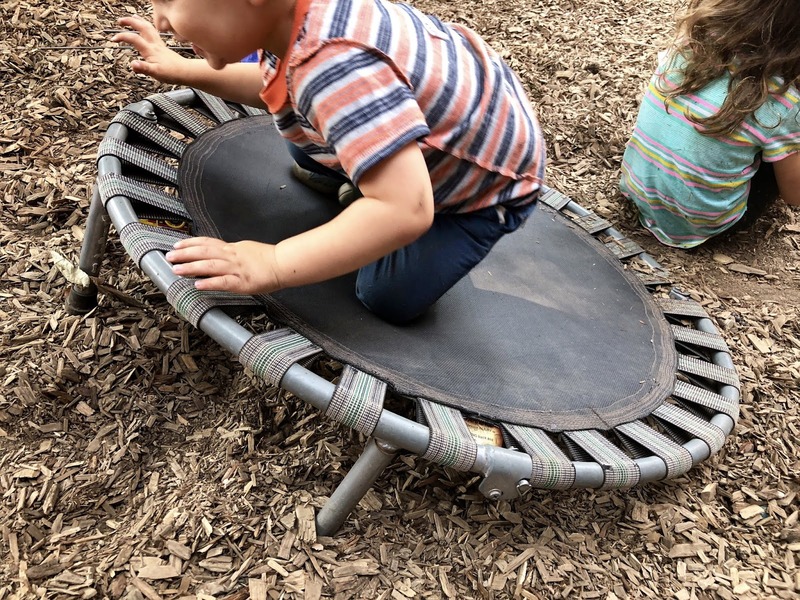 It wasn't until it was broken that they really started enjoying it. We discussed the plants in the garden. Most of them weren't broken, at least not yet, although we would later be harvesting cucumbers and tomatoes, and then later the leaves and stems would be broken down by the worms and bugs that live in our compost bin. We spent some time contemplating water. Water couldn't break, we decided. 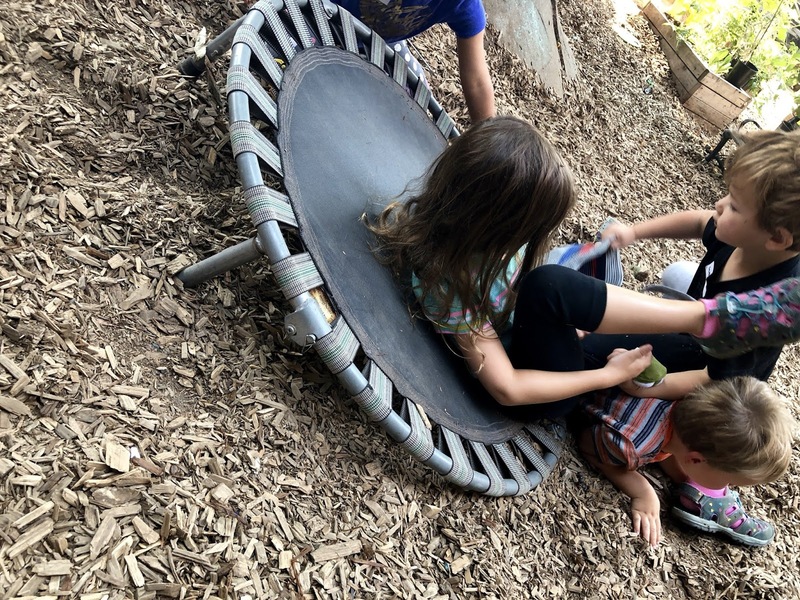 That was the only thing on the junkyard playground that wasn't broken. "Unless it turns into ice," he said, "Then we could break it." Some time ago, I was having a drink with a friend who practices Buddhism. She showed me her glass and said, "When I think of this glass, I know it will one day break. It's inevitable. Nothing lasts forever. In a sense it's already broken: everything is already broken. Knowing that, I've already accepted its loss. Now I'm free to just enjoy it." She then proved it by taking a long swallow of her beer. I've always felt a sense of peace when we play on the junkyard playground, a feeling that isn't always there when we're indoors with all the stuff that isn't broken. I wonder if it's because we all know, children and adults, even if we haven't thought about it, that everything is already broken, so we might as well just relax and play.